Just over a month ago, Microsoft ended support for Windows XP which makes it unsafe for business practices. Even with no support, China has decided to ban XP's replacement, Windows 8, from being installed on official government PC's. China, which has been a major country in replica (fake) items, has already been in Microsoft's spotlight. Microsoft has already accused China of being a "center of Windows piracy", and in 2012, accused nine Chinese re-sellers of running unlicensed software before the official Windows 8 launch. Microsoft has also tried working with the country to slim illegal copies, but this has yet to show results. According to Xinhuanet (China's official news agency), this ban was to ensure security after Microsoft's support shutdown of XP. XP, which runs the majority of government PC's in China, will continue to be the primary OS until a custom build of Linux can be developed. This custom Linux OS is to ensure security updates won't stop after a specific amount of time and will allow Chinese IT companies to develop an OS which meets their specific needs. The first step to using this custom OS is to promote uses to those who will be the "official users", then market to the general public. 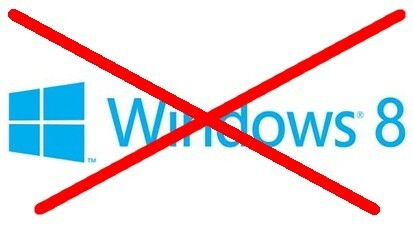 Windows 8 will still be allowed for general use, but will not be allowed on official government issued hardware. Will Microsoft really be effected by a country whose majority is running pirated software? Please let me know your thoughts on this matter.